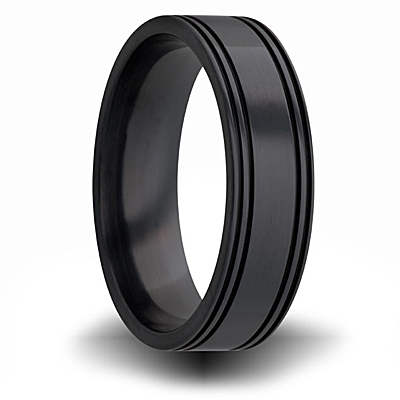 Solid black zirconium ring has four channels on the edges. Flat center and high polish finish. Ring width: 7mm wide. Comfort fit. Made in USA.